I am not sure if you’ve heard the story I am about to share. Why? Because the protagonist of the story is a dog so special it was like his life was just a fairy tale. Nevertheless, the story has reached the whole world, and I feel like it deserves to reach more people. If you’re not familiar with Libre and his story, you might ask how can a dog be as big as an ambassador? Well let’s look back and take a look at his story. Libre was bred by an Amish Dog Breeding Facility situated in Lancaster County. 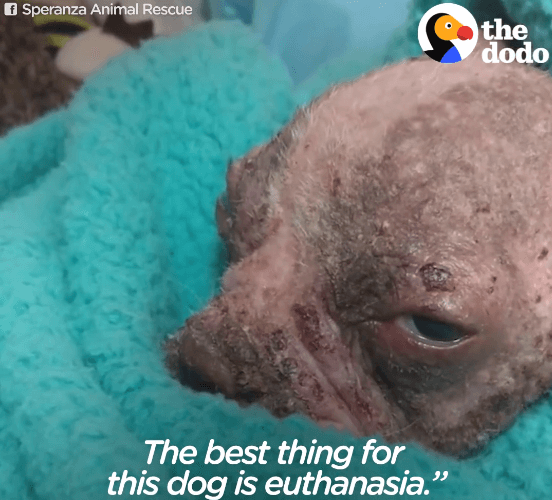 At only 8 weeks, a puppy with no hair or fur left in his body, will very severe skin infections, painful open sores that were filled with maggots and a blood disorder was left to die one summer. It was the year of 2016, and this ill pup only have hours to live. To say he was in the brink of death was an understatement. That and the fact that his owner or breeder left him hopeless and alone in the heat of the sun and dirt. This malnourished pup was in so much pain and no energy left to ask for help or even move an inch. Luckily, he was found in a Lancaster Farm by Dexter Orme, a truck driver. He immediately took the poor pup to the E.R. Once at the E.R. Vet, Libre was checked, cared for and instantly loved by the vets and everyone who got to know him. When the owner of the rescue group, Janine Guido, came in to meet Libre the night he arrived, they instantly formed an amazing bond. However, Libre is in such a bad shape. 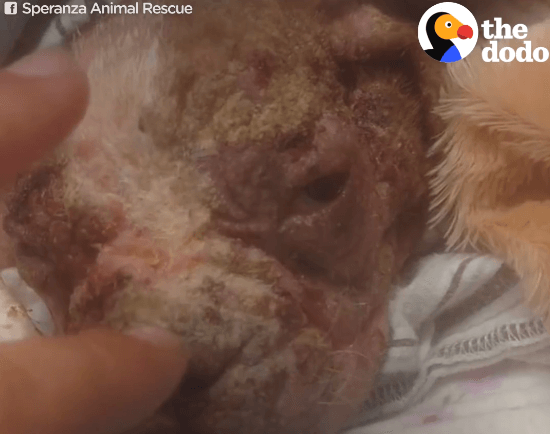 The rescue group who took him in (Speranza Animal Rescue) was told by the vets that he is the worst case they ever had. 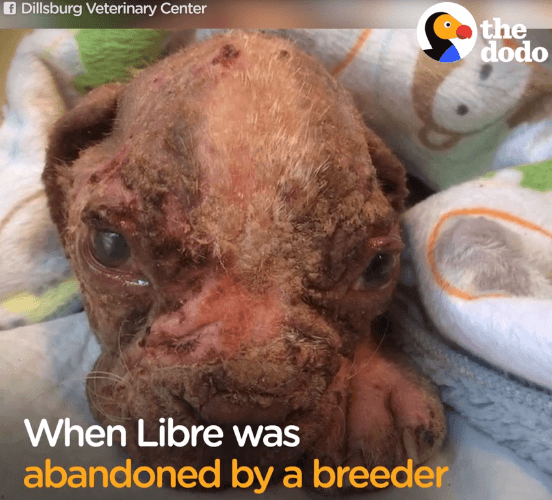 They fear for Libre’s life – he was in so much agony it was unbearable to watch. Janie and the vets had “the talk” where it seems that the best decision to end Libre’s suffering is through euthanasia.